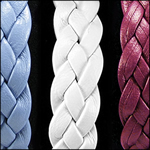 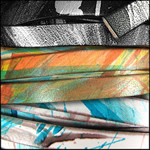 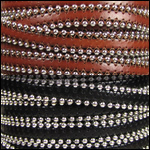 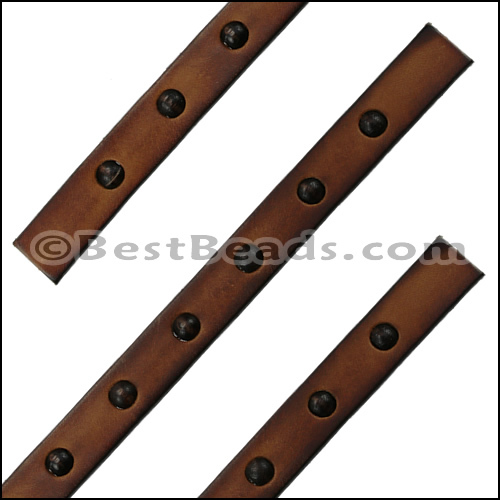 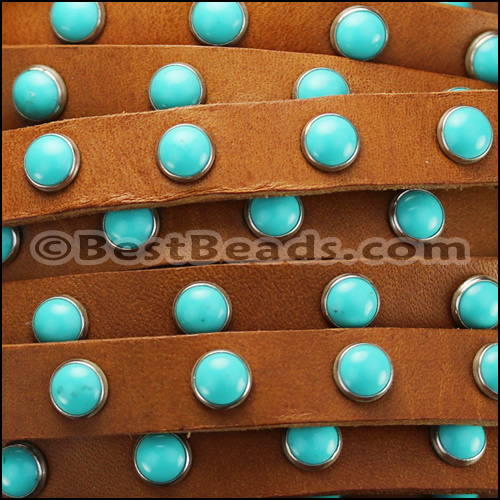 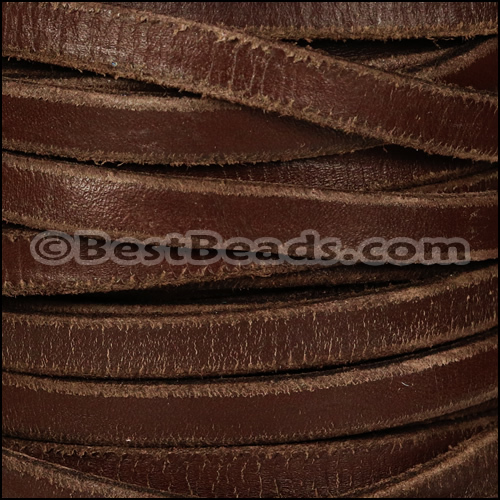 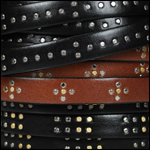 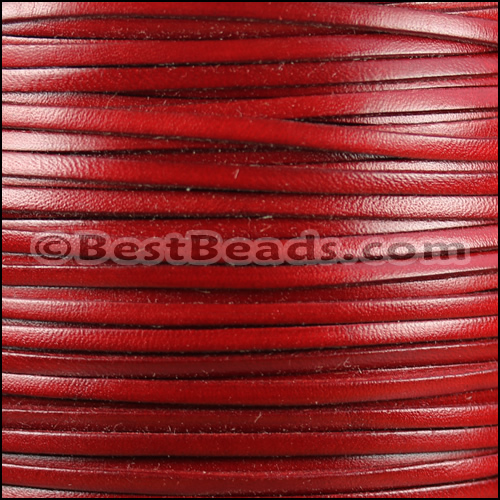 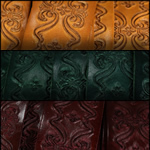 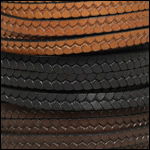 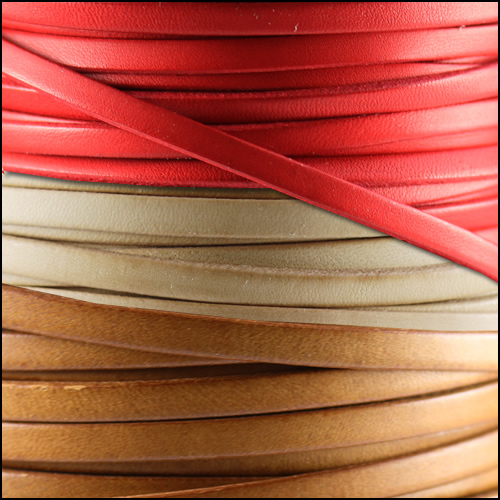 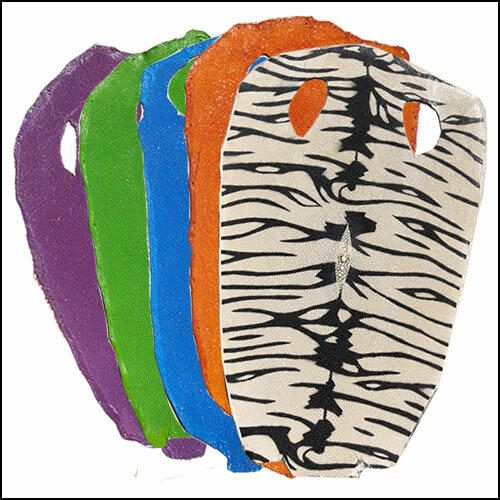 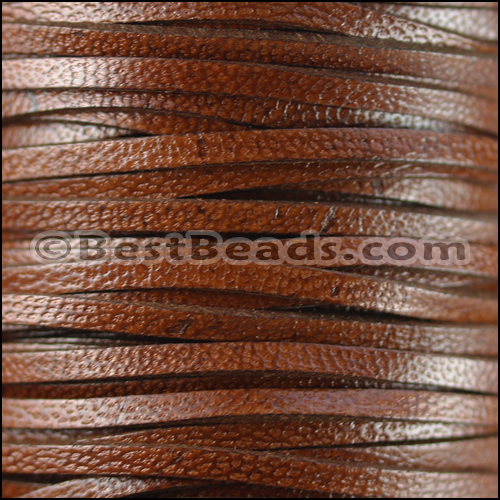 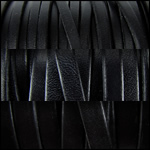 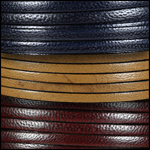 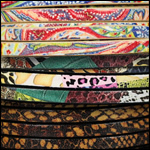 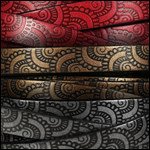 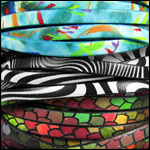 We have one of the largest and most unique selections of wholesale leather cord and flat leather jewelry supplies! 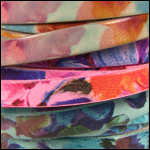 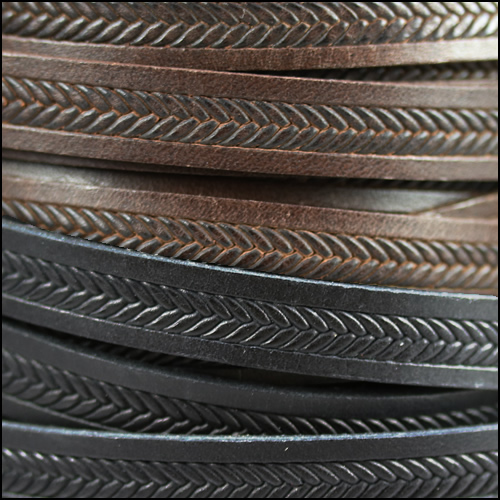 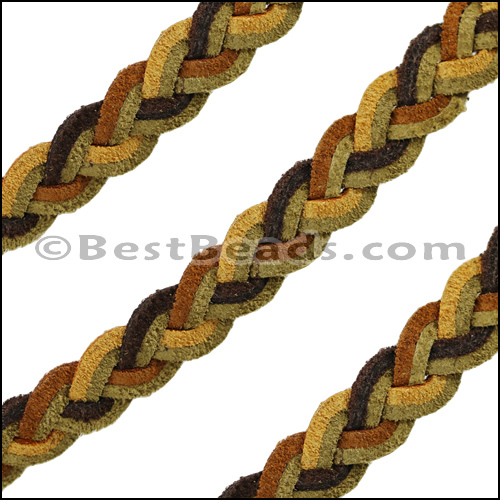 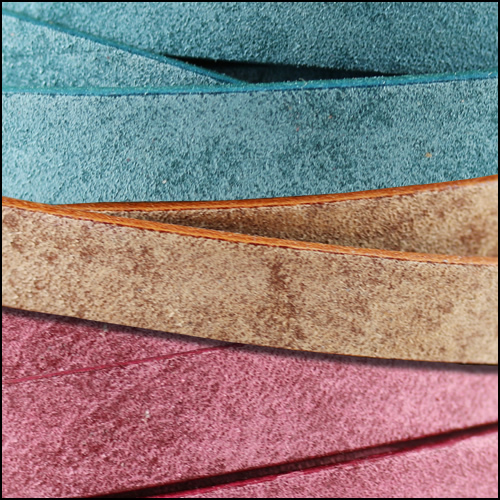 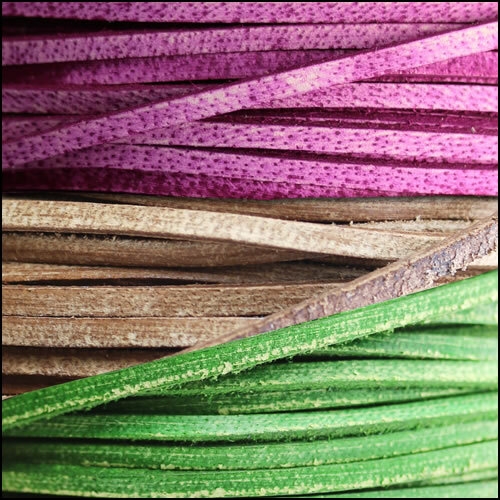 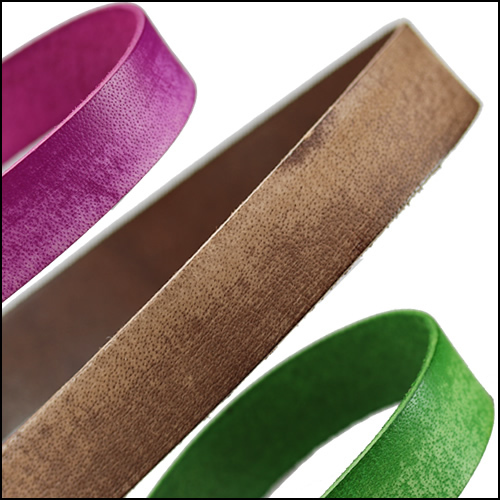 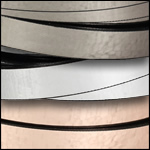 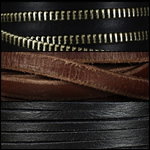 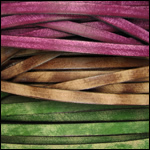 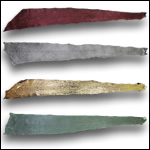 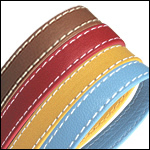 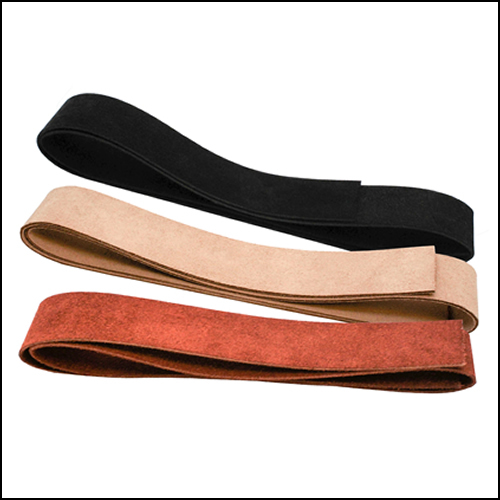 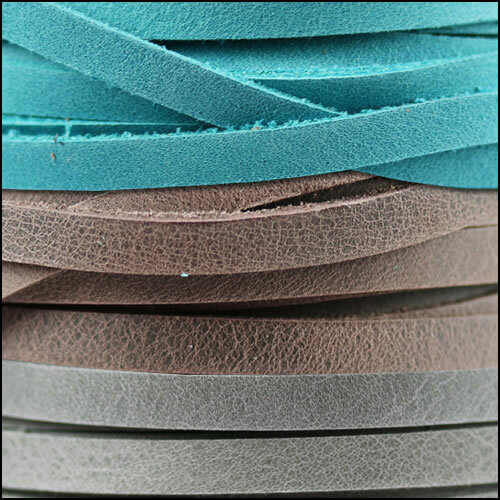 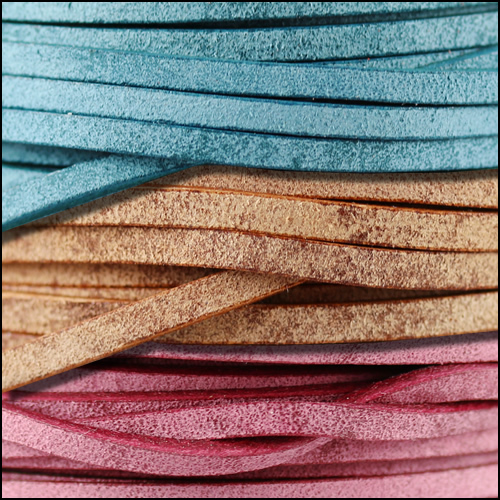 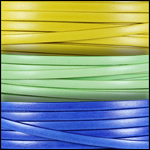 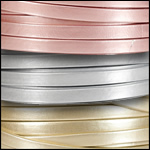 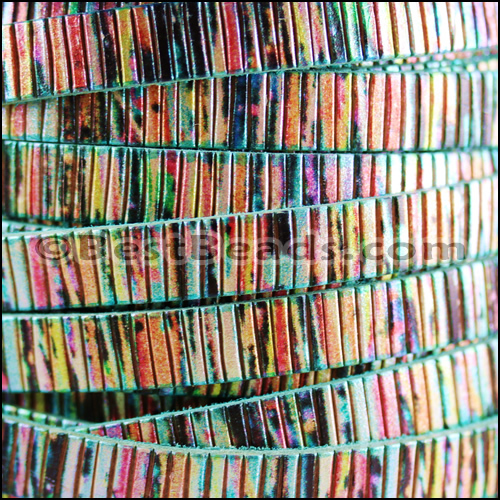 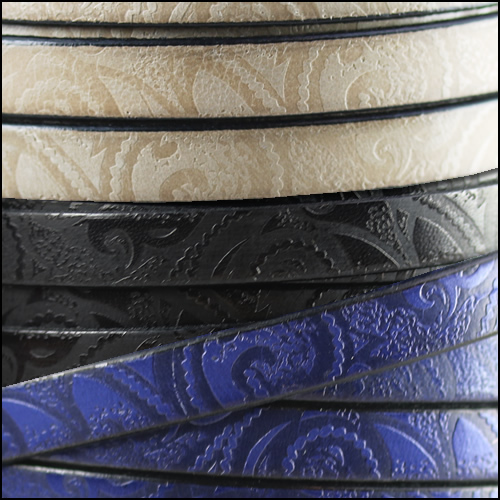 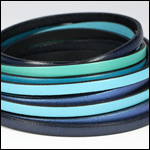 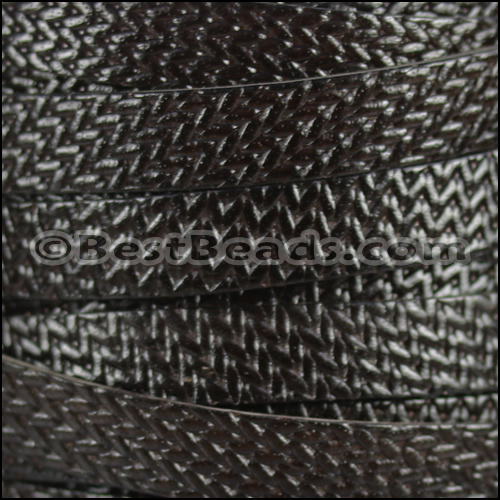 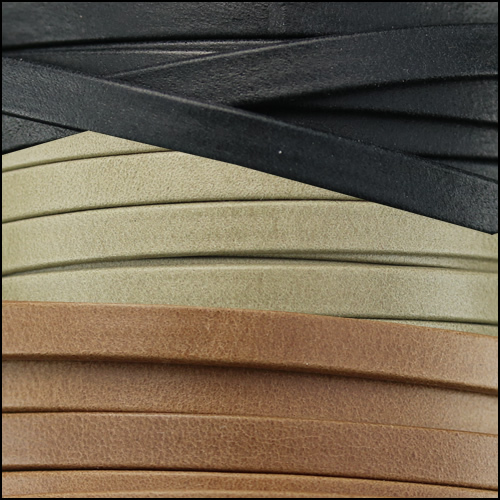 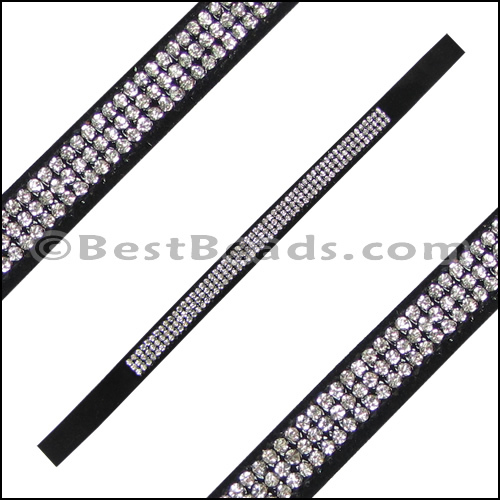 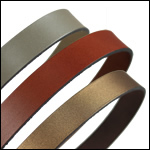 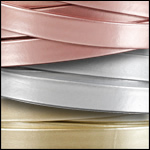 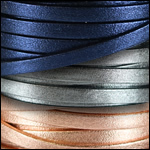 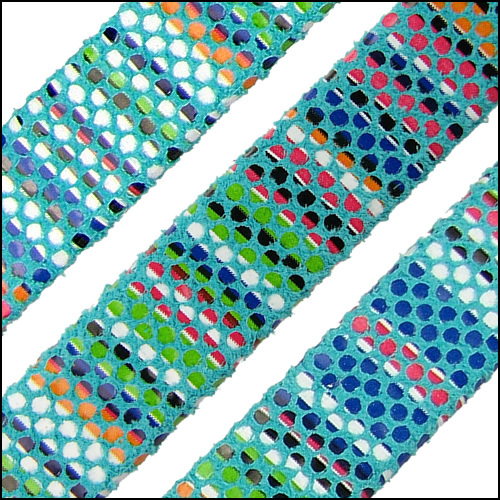 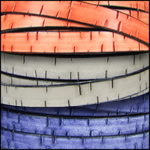 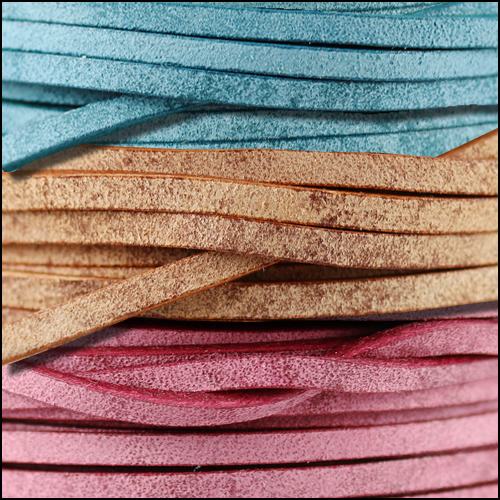 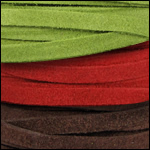 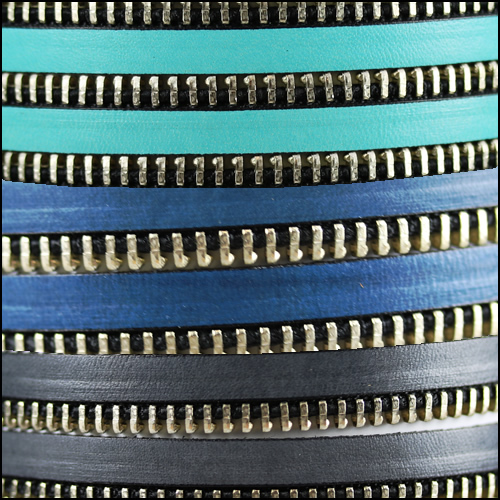 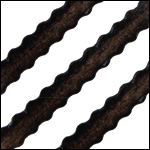 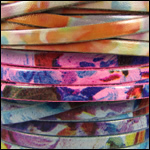 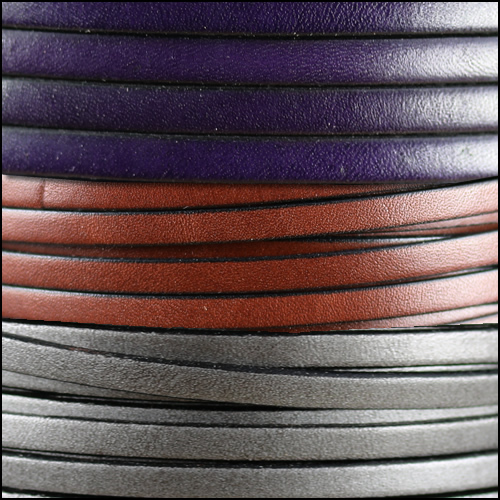 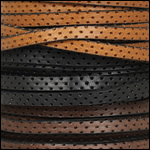 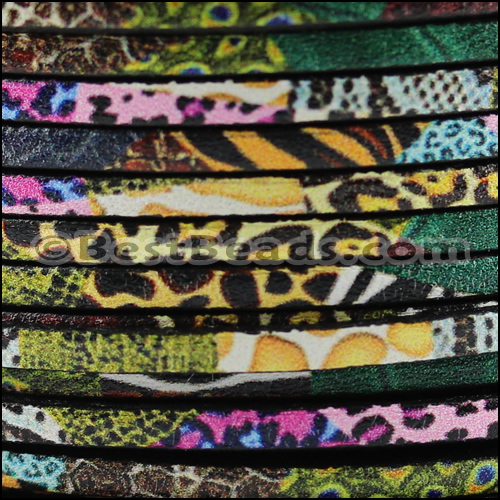 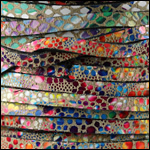 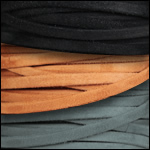 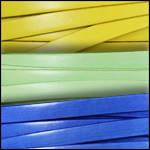 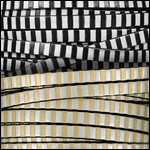 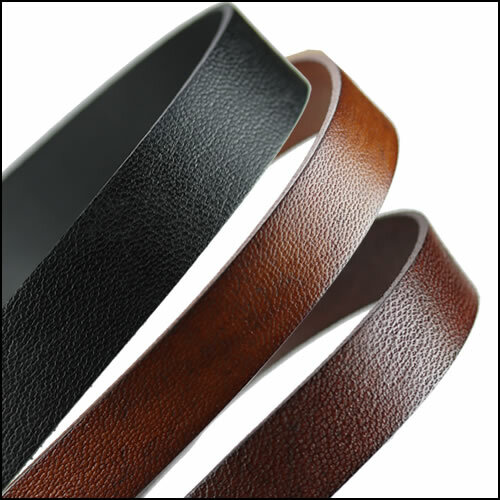 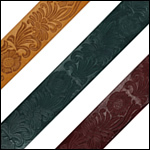 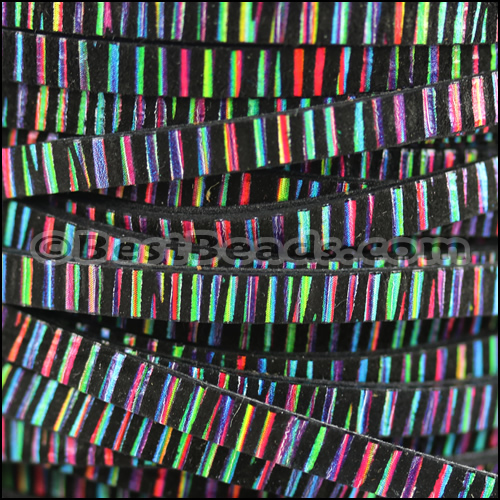 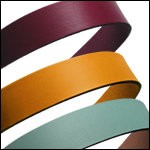 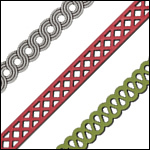 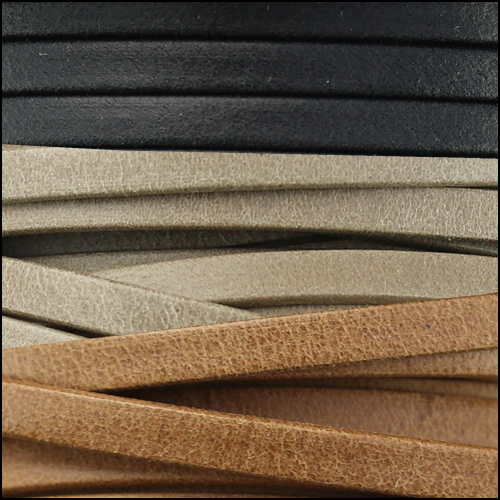 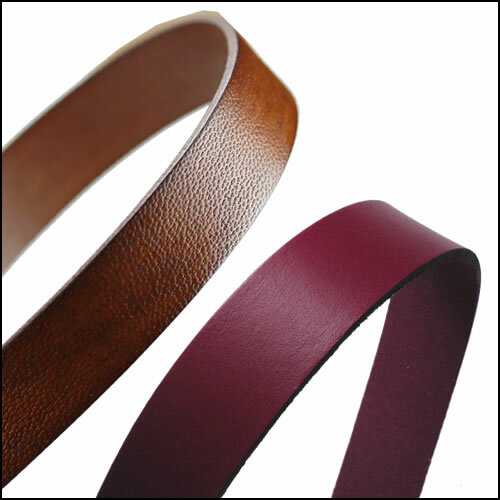 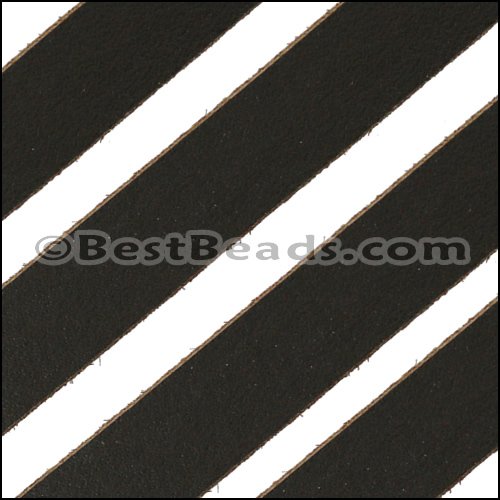 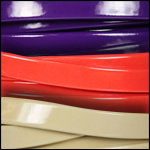 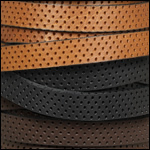 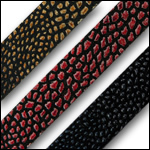 Use our leather strips for making bracelets, necklaces, pet collars, rings, earrings, or in any leather craft you can think of. 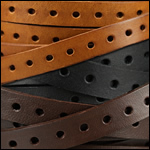 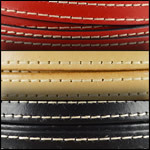 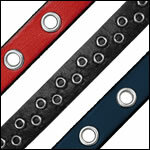 We have all sizes of flat leather, ranging from 3mm to 40mm. 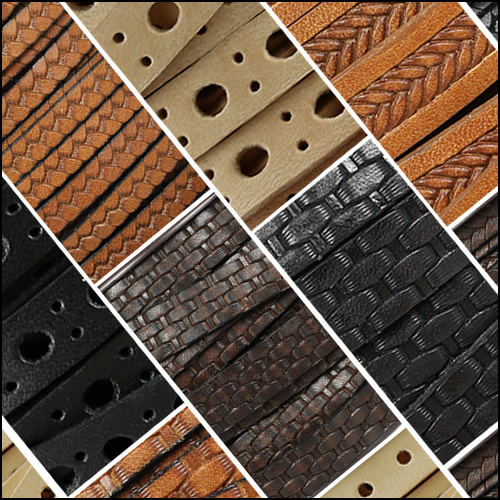 We offer a variety of clasps and sliders that fit each leather size, making your bracelet design possibilities seriously huge! 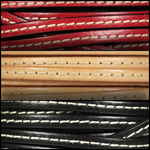 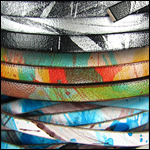 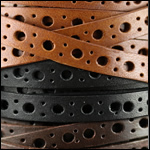 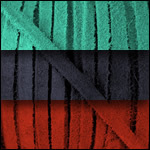 You can even mix different sizes of leather to create unique bracelets. 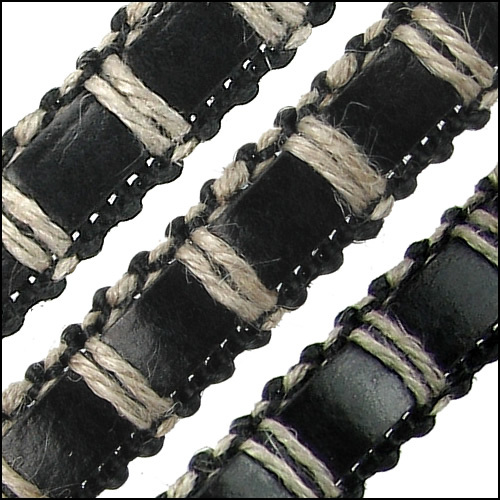 For example, you could use 2 strips of 5mm leather and 1 strip of 10mm leather to make a thick 20mm leather bracelet using one of our 20mm clasps. 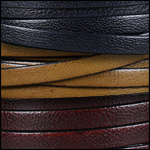 Browse our wholesale leather selection by clicking on the style below. 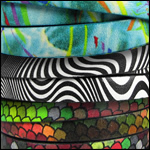 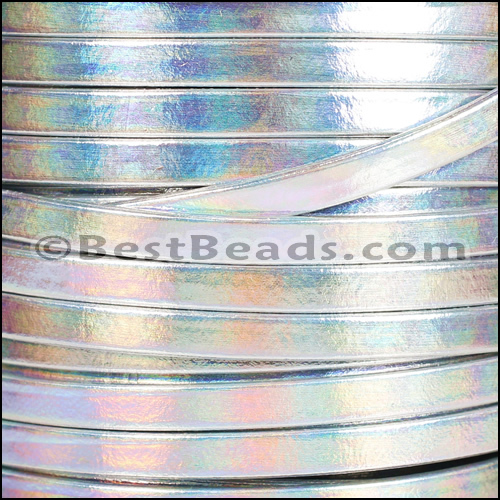 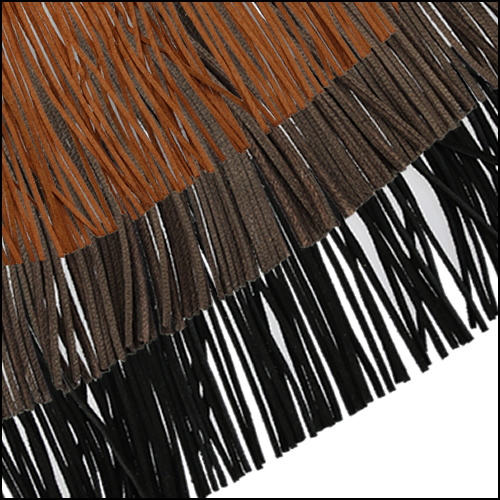 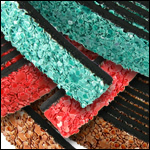 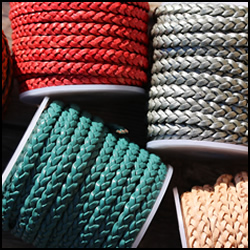 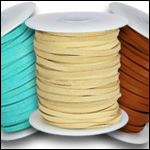 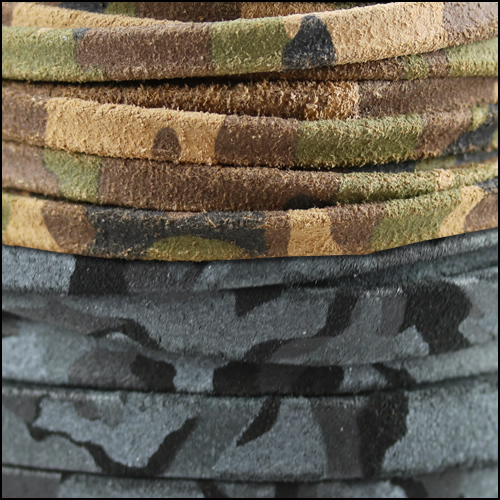 Each style is available in different colors, and is sold in varying lengths and spool sizes. 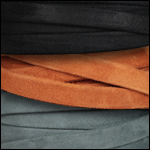 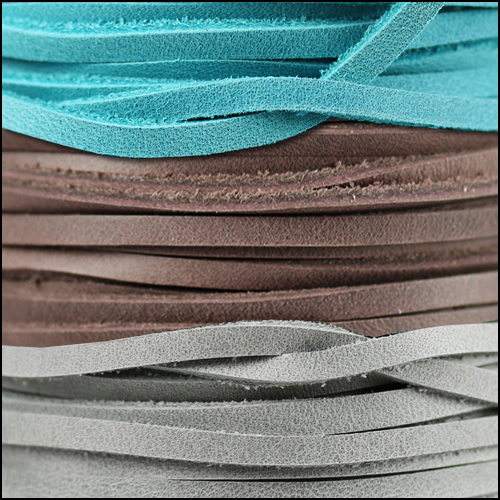 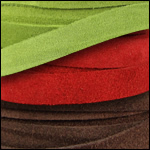 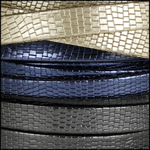 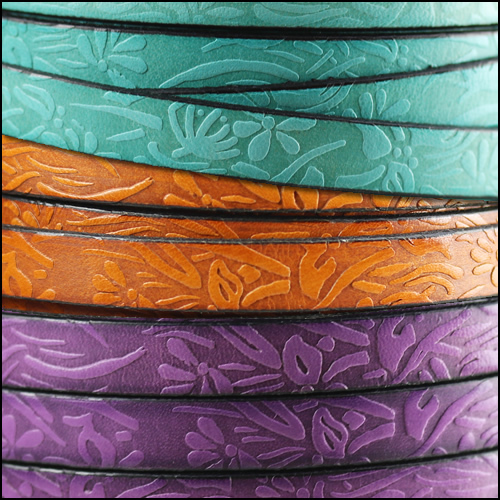 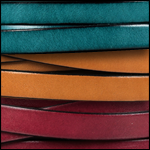 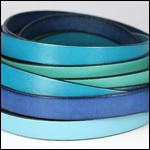 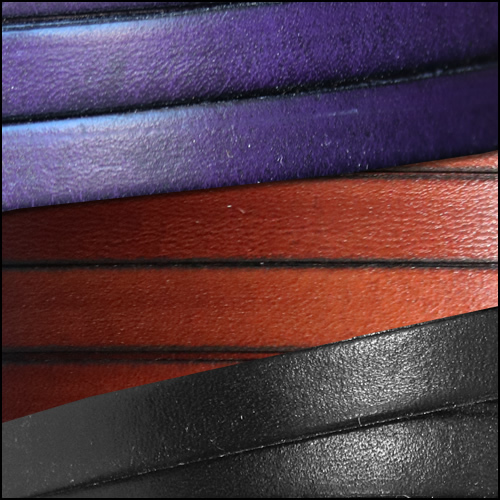 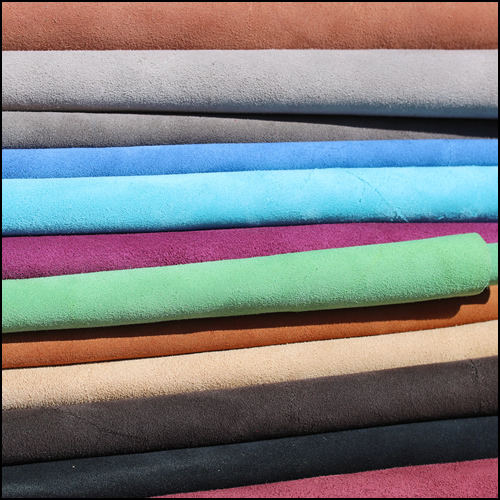 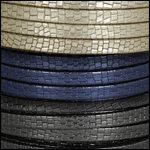 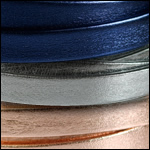 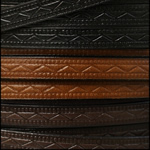 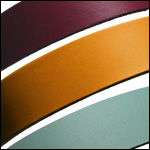 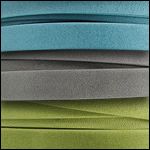 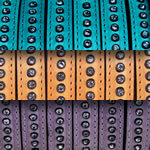 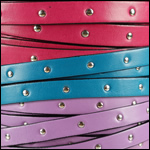 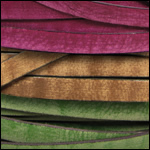 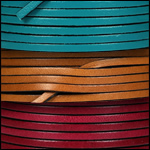 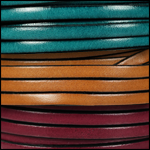 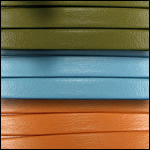 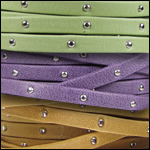 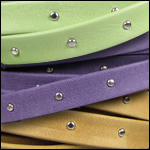 Shop all of our wholesale flat leather by color. 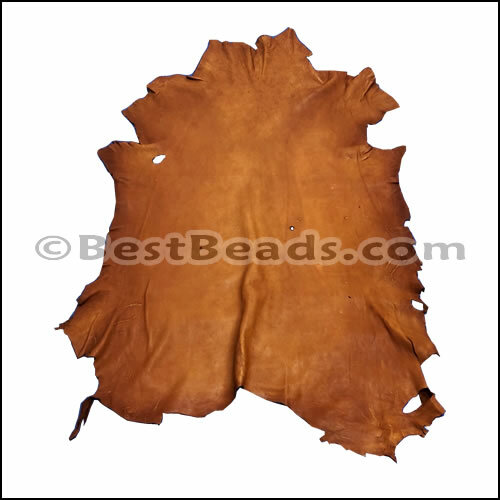 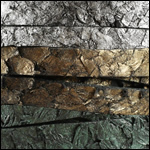 All leather listed here is genuine cowhide or goat leather, imported from around the European Union. 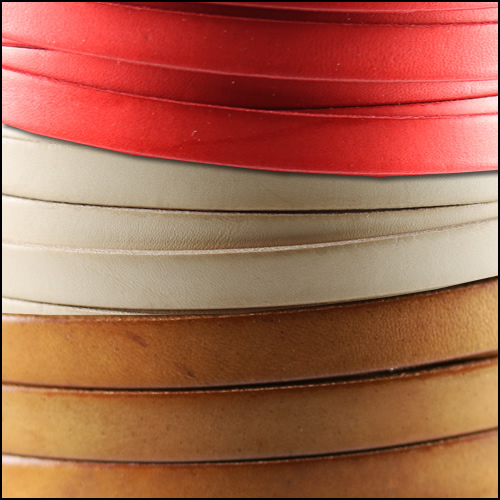 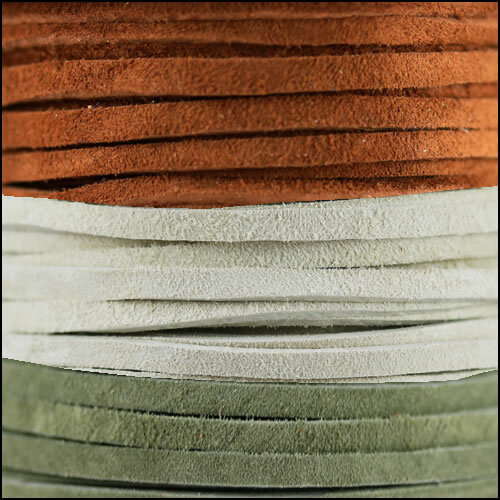 We work with several artisan factories that source the highest quality leather hides within Europe, and then embellish, cut, and spool the different leather styles. 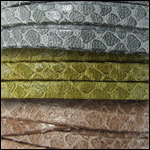 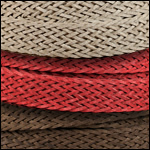 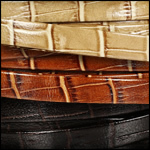 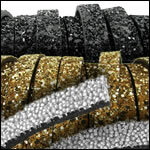 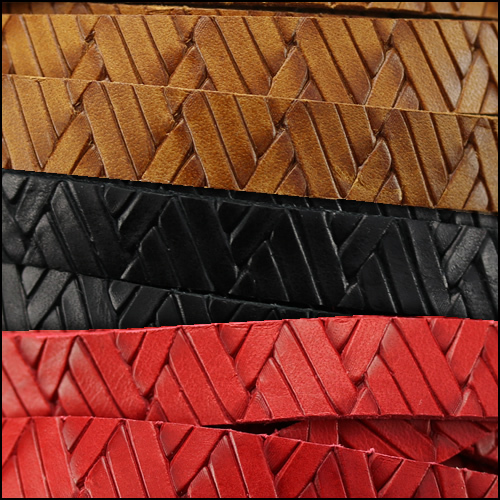 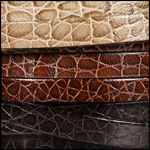 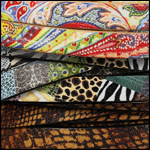 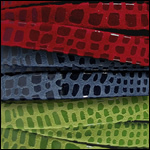 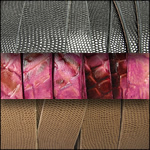 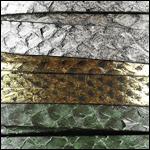 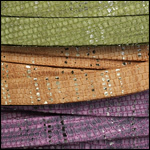 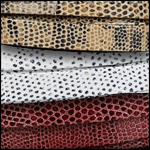 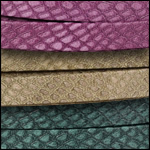 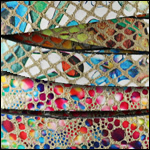 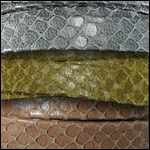 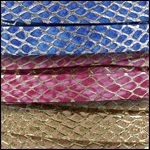 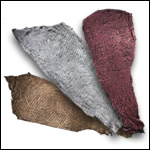 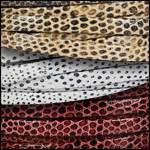 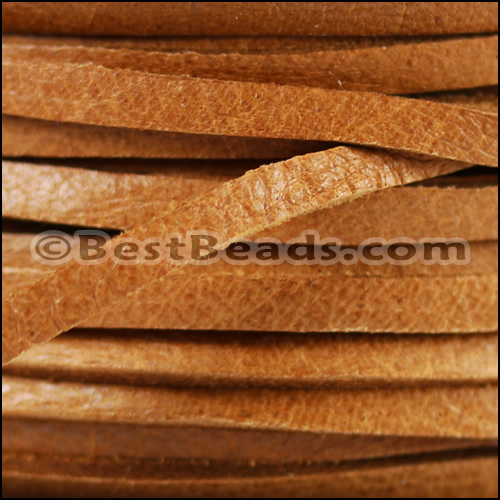 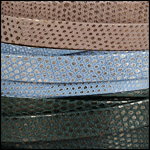 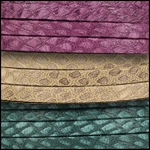 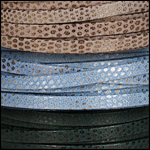 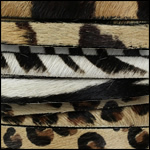 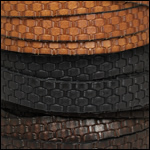 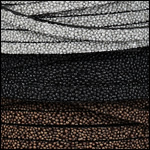 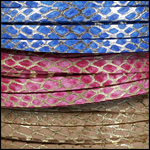 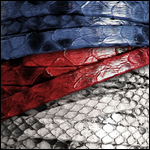 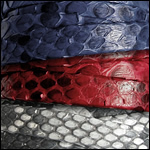 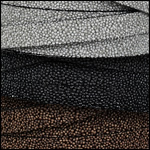 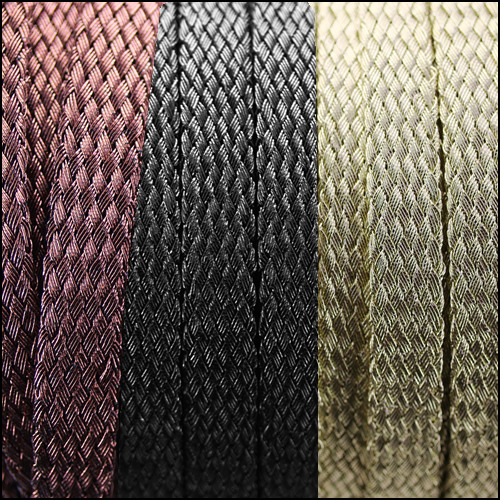 We also feature deerskin lace from the USA, genuine python skin leather, and fish skin leather for jewelry and crafts.